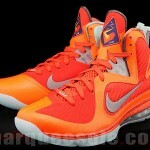 This year’s NBA All-Star Game was a great success in many ways, but mainly due to Nike’s “Galaxy” themed sneakers. Nike released special make ups for their marquee athletes, but also a couple of other models that were very well received. Obviously it took a lot of sampling in order to reach the final result and here is of the examples. 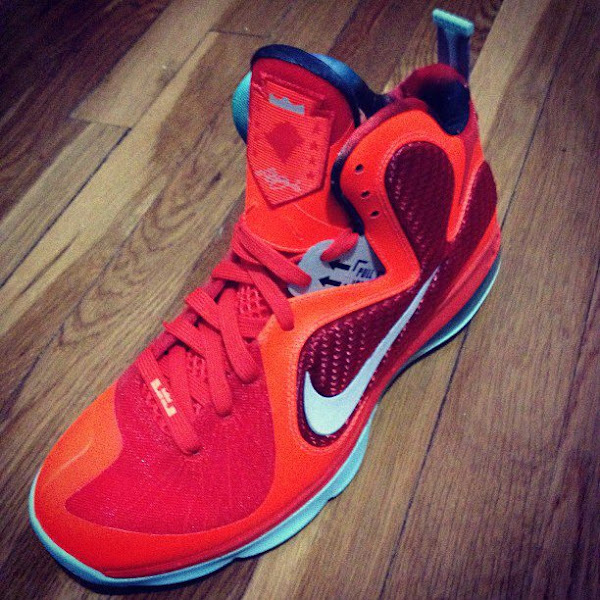 Originally, the All-Star LeBron 9 featured an Orange upper with 3M reflective panels and Glow-in-the-dark outsole. 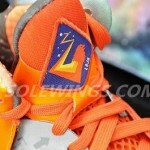 The sample version features subtle changes from the production model like darker shades on the stability wing, a solid outsole rather than the GITD and a special LeBron James badge on the top of the tongue instead of his signature. Did Nike make the right call by keeping them under wraps? Thanks to @IX_Eleven for sharing.